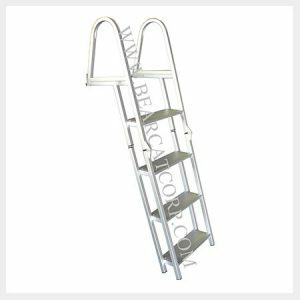 Our popular design offers 3, 4 or 5 step options. 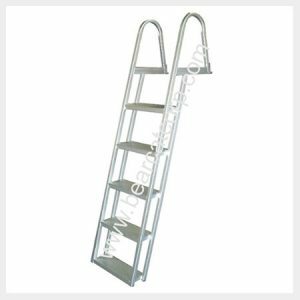 All of our ladders use a comfortable 5″ deep and 16″ wide step for easy climbing. 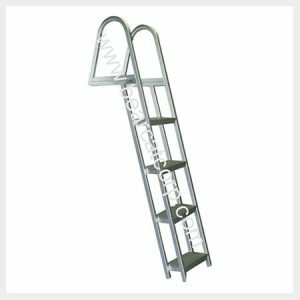 Our angled ladders can be used on your pier as well as your pontoon (ladder attachment kit necessary). 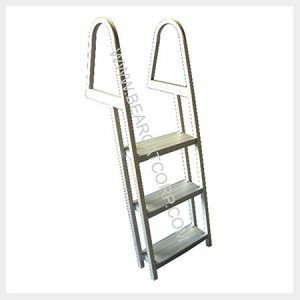 Ladder features include: 201R1 clear anodized aluminum and quick release mounting brackets. Assembly is required and mounting hardware included.